» Why Live With Yesterday's Technology? Why Live With Yesterday's Technology? 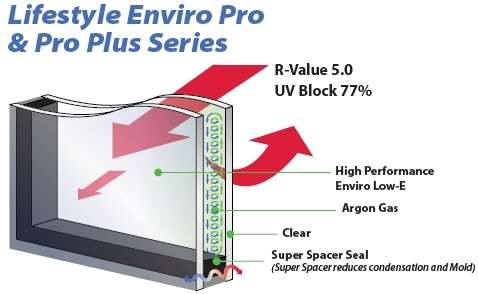 Lifestyle Enviro Pro Plus windows can decrease conductive heat loss up to 30%. This can amount to a savings of 15-20% on your heating and cooling costs. 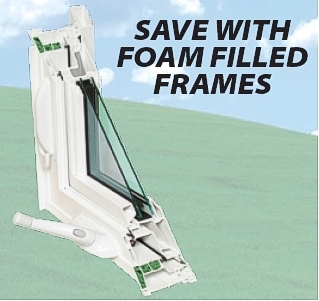 Keep in mind replacing windows is not only about saving money, it’s about substantially increasing the comfortability of your home. Typically windows add to the resale of your home. Without foam fillings and our specialty glasses, the above benefits are drastically reduced. Before you buy, find out what’s inside. 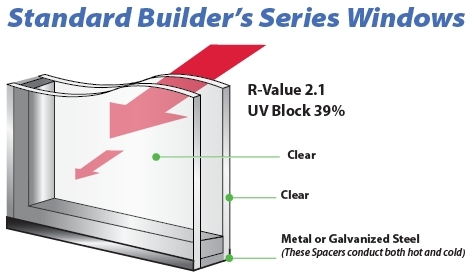 U-values comparing both air-filled and foam-filled frames of each of the windows modeled are represented. 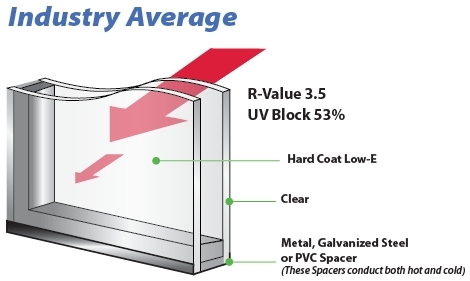 The foam-filled frames show a 17 to 20% decrease in the heat transfer rate. 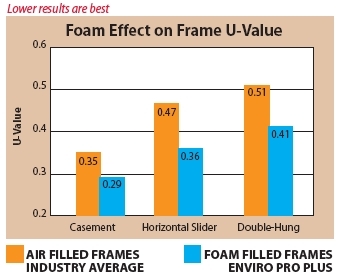 Foam filling frames drastically reduces outside noise levels, and increases comfortability.